August 15, 1862: when two other bands of the Dakota, the southern Mdewakanton and the Wahpekute, turned to the Lower Sioux Agency for supplies, they were rejected. Indian Agent (and Minnesota State Senator) Thomas Galbraith managed the area and would not distribute food without payment. August 15, 1876: US law removed Indians from Black Hills after gold was found. Sioux leaders Crazy Horse and Sitting Bull led their warriors to protect their lands from invasion by prospectors following the discovery of gold. This led to the Great Sioux Campaign staged from Fort Laramie. By 1996, homeownership totaled 66.3 million American households, the largest number ever. Except for a few historic buildings, Techwood Homes was demolished in 1996 before the 1996 Summer Olympics. In 1998, HUD opened Enforcement Center to take action against HUD-assisted multifamily property owners and other HUD fund recipients who violate laws and regulations. 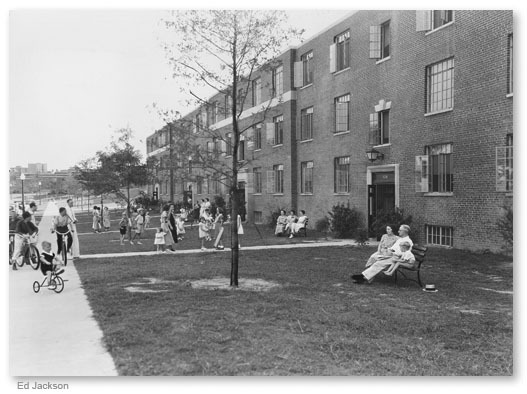 Congress approved Public Housing reforms to reduce segregation by race and income, encourage and reward work, bring more working families into public housing, and increase the availability of subsidized housing for very poor families. August 15, 1965: at 8 pm EST The Beatles took the stage at Shea Stadium in New York City, marking the very first time a rock band would headline a stadium concert and a major victory for promoter Sid Bernstein, who had arranged the gig after his gamble of booking the then-unknown group at Carnegie Hall had paid off. Tickets for the show, sold merely by word of mouth created by kids who asked Bernstein about the next Beatles show while he strolled in Central Park, sold out in just three weeks, beating the stadium’s old seating record with 56,000 seats sold. August 15, 1966: Jefferson Airplane released their debut album, Jefferson Airplane Takes Off. The personnel differed from the later “classic” lineup and the music is more folk-rock than the harder psychedelic sound for which the band later became famous. Signe Toly Anderson was the female vocalist and Skip Spence played drums. Both left the group shortly after the album’s release and were replaced by Grace Slick and Spencer Dryden, respectively. ( Jorma Kaukonen (age 25), Paul Kantner (age 25), Jack Casady (age 22), Marty Balin (age 24), Grace Slick (age 26), Spencer Dryden (age 28). August 15: day one of the Woodstock Music and Art Fair, Bethel, NY. August 15, 1996: Bob Dole nominated for President and Jack Kemp for Vice President, at the Republican National Convention in San Diego.